Take a quick moment to think of how many physical versions official and important government documents you keep at home. Remember the last time you caught yourself frantically searching for your missing passport or travel documents? On hand, you have your identification cards, voter ID, driver’s license, and other forms of identification. At home, you keep your passport, old tax returns, receipts, and educational certificates, for when they are needed. Managing the location of these documents may seem simple but when you most need them, they are nowhere to be found. A solution for this has been provided through India’s DIGILocker service. The service was officially introduced by Prime Minister Narendra Modi, during the Digital India week in July. DIGILocker is a source for individuals to store their government issued documents, using their Aadhaar cards for ID. The Aadhaar card is similar to a social security card. It was introduced several years ago with the hopes of making it the universal form of identification for Indian citizens. With this card, the government aims to simplify the process of acquiring important documents within the Digital Locker. This would increase the value of having an AadHaar card, which the government is trying to push. Signing up for the DIGILocker requires citizens to provide their Aadhaar number and SMS contact. A one-time password is set up to access the DIGILocker. The DIGILocker may also be linked to Google or Facebook logins. After signing up for the locker, 10MB of storage are made available to upload government documents. If that is not sufficient, Uniform Resource Identifiers may be saved to the locker. The locker will minimize the process of locating government documents, expediting processes such as passport applications. For example, the Passport office may use you Aandhaar number and request access to your DIGILocker. Also, the RTO could issue Driver’s Licenses directly to the DIGILocker. This system authenticates documents and allows for citizens to share them with government offices, without the trouble of visiting the offices in person. With worries of misuse and external threats, some people are swayed away from the benefits of the service. 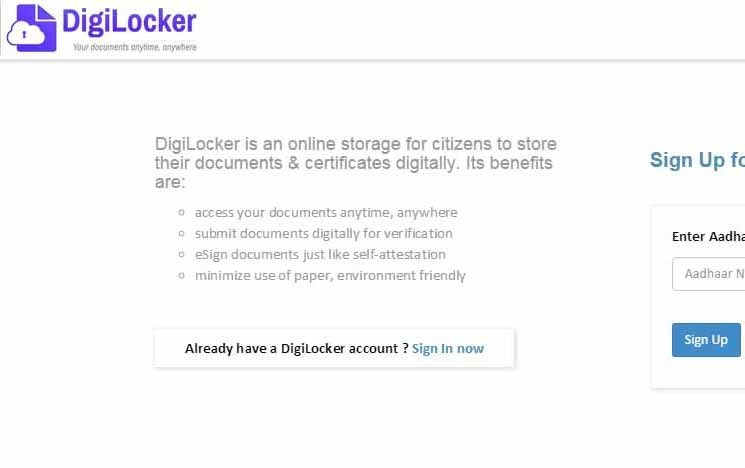 DIGILocker presents a great technological solution for Indian citizens as it is on the move towards full digital operations in dealing with government. OpenGov releases new digital content daily on trending topics within technology and the public sector. Join our newsletter to have weekly digests of our content conveniently sent to your email address. OpenGov is a content platform, dedicated to sharing ICT-related knowledge and information between governments. We focus on the public sector in the Asia-Pacific region. We help governments become more Efficient, Agile, Transparent and Secure, so as to improve the lives of their citizens. © 2019 OpenGov Asia - CIO Network Pte Ltd.